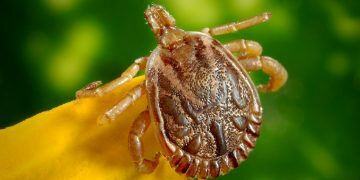 Mites are tiny, microscopic parasites that burrow under the skin of dogs and other animals. As they do this, their host begins to itch uncontrollably. Little flakes of skin resembling dandruff float to the ground, and dry patches of baldness appear. When a dog has canine mange, it is undeniably ugly. There are three predominant types of mange: demodectic mange, also known as red mange; cheyletiella mange, also known as walking dandruff; and sarcoptic mange, also known as scabies. All of these varieties of mite burrow and procreate under a dog’s skin, but each has characteristics unique to it. This tiny mite cannot be seen without a microscope. It is scientifically known as Demodex canis. This type of mange is characterized by clogged the hair follicles, created as the mite bites the host and tunnels deeper into the skin. Puppies between the ages of 3 and 12 months are most susceptible to this type of mange. 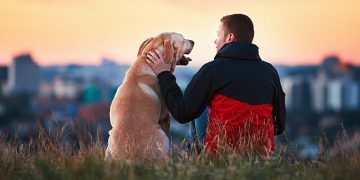 You want the best for your dog. 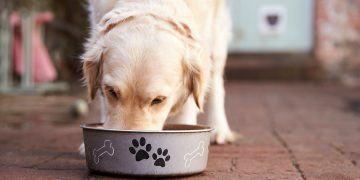 These dog food reviews will help you pick the food that's right for your dog so you can keep playing and enjoying life together. This type of mange is a little bit milder, usually affecting the surface skin of the dog’s head, neck and back. It is commonly called walking dandruff because of the shedding flakes it causes. The mite that produces cheyletiella mange is large enough to be seen under a magnifying glass and has a reddish coloring. It primarily affects puppies. Scabies is the term people use when referring to sarcoptic mange. This type of mange is usually spread between dogs that have been in close quarters like kennels and dog grooming parlors. Ears get crusty, and there is a lot of hair loss from the intense scratching that often occurs. Sarcoptic mange can be passed to humans, but it does not continue to spread among them. The larvae are unable to mature in people, thus ending their life cycle. All types of mange are highly contagious. Mites burrow under the dog’s skin and deposit their eggs, which grow into larvae, which in turn grow into adults that lay eggs and continue the cycle. Thus, canine mange can last for extended periods of time; it is not uncommon for mange to last several months, and even up to a year. There are many treatment alternatives for canine mange. Several fungal treatments are available. There are also topical ointments to relieve itching and reduce inflammation. Some vets prescribe limited doses of steroids, which help with skin irritation until the mites begin to die off. Mange can lead to secondary infections. As the dog’s skin becomes raw, bacteria may begin to grow, causing other problems. A healthy immune system is a dog’s best defense, so canine vaccination is important. With proper vaccination – as well as a healthy diet, appropriate exercise and regular grooming – your dog will have what it takes to defend its body against intruders.